Larson, R., Sasanuma, K. (2010). Congestion Pricing: A Parking Queue Model. Journal of Industrial and Systems Engineering, 4(1), 1-17. Richard C. Larson; Katsunobu Sasanuma. "Congestion Pricing: A Parking Queue Model". 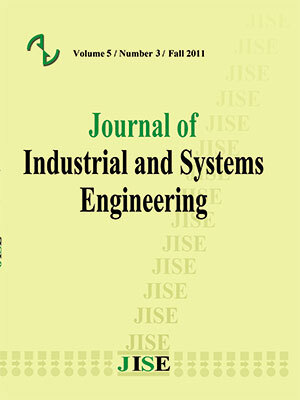 Journal of Industrial and Systems Engineering, 4, 1, 2010, 1-17. Larson, R., Sasanuma, K. (2010). 'Congestion Pricing: A Parking Queue Model', Journal of Industrial and Systems Engineering, 4(1), pp. 1-17. Larson, R., Sasanuma, K. Congestion Pricing: A Parking Queue Model. Journal of Industrial and Systems Engineering, 2010; 4(1): 1-17. Drivers in urban neighborhoods who patrol streets, seeking inexpensive on-street parking create a significant fraction of measured traffic congestion. The pool of drivers patrolling at any time can be modeled as a queue, where ‘queue service’ is the act of parking in a recently vacated parking space and queue discipline is SIRO – Service In Random Order. We develop a queueing model of such driver behavior, allowing impatient drivers to abandon the queue and to settle for more expensive off-street parking. We then relate the model to the economic theory of congestion pricing, arguing that price differentials between on-street and off-street parking should be reduced in order to reduce traffic congestion. Reducing the number of “patrolling drivers” often can reduce urban road congestion significantly, in some cases as effectively as technologically expensive road pricing schemes that cordon off the center city. Cox D.R., Smith W.L. (1954), On the Superposition of Renewal Processes; Biometrika 41; 91-99. Kaplan E.H. (1987), Analyzing Tenant Assignment Policies; Management Science 33; 395-408.
and Systems Engineering 3; 227-242. Journal of Urban Economics 36; 42-65 (republished). Wolff R.W. (1982), Poisson Arrivals See Time Averages; Operations Research 30; 223-231. Shoup D.C. (2006), Cruising for parking; Transport Policy 13; 479-486.